This took place the day before the Hindu wedding ceremony. 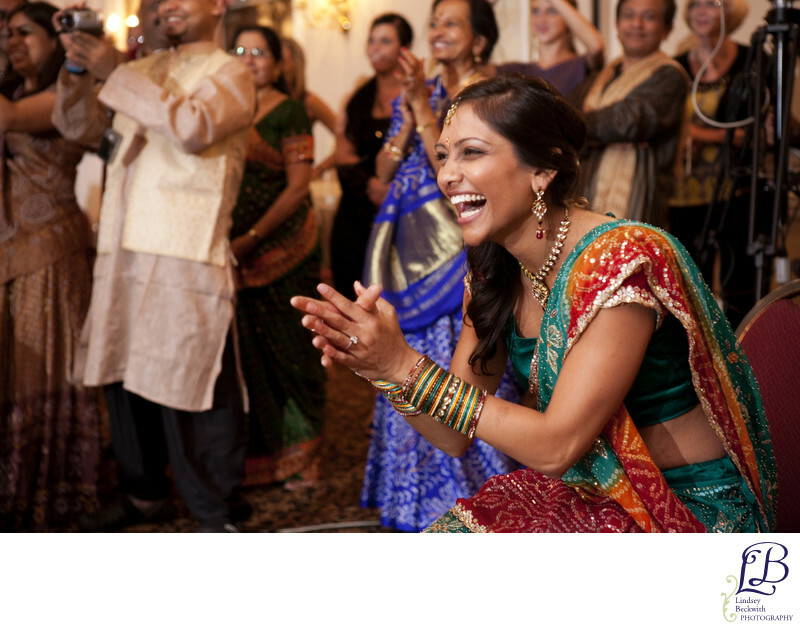 She was laughing particularly hard in this moment, because the groom had gotten up to perform a choreographed, Bollywood style, dance with his groomsmen. The wedding guests were going wild, loving every minute of the men dancing. I love her expression. She's completely in the moment, focused on her groom, totally natural and unaware of me. Based on their pure enjoyment that day, I knew the next day, especially the baraat, would be a lot of fun. Indian wedding photographed at Signature of Solon, in Cleveland, Ohio. Hindu wedding ceremony photographed in Cleveland, Ohio.